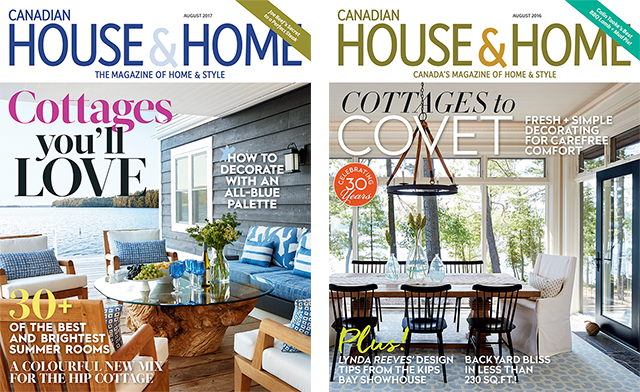 Start the outdoor season with the must-read Summer Homes & Cottages issue from Canadian House & Home — yours FREE when you subscribe! From a refined summer home in Muskoka to a bright and airy cottage in P.E.I. to a surprisingly urban space in the heart of cottage country, you’re sure to find a fresh-air style that inspires you. Not only that, the issue’s packed with top-notch decorating advice from the country’s design pros, tips and tricks for indoor-outdoor living, and our best barbecue recipes. Don’t miss out!